Surprise! Dad left the closet door open today and I reorganized your shoes! 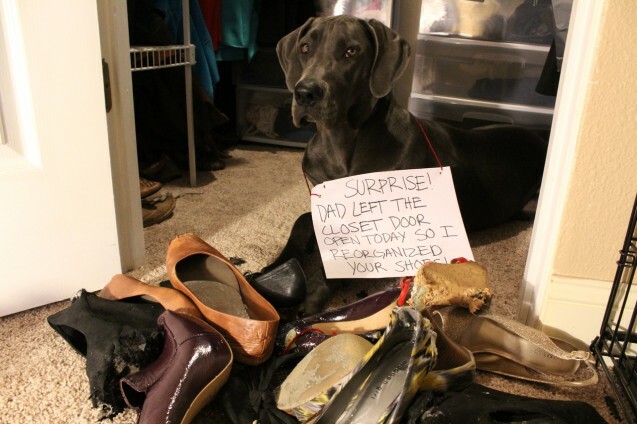 – Rogue the blue Great Dane 9 months old, 16 pairs of shoes…and counting. Posted October 25th, 2012 .